Leading Wholesale Trader of dusttrak aerosol monitors, sidepak personal aerosol monitor, primary calibrator, mask integrity test accessory mita, noise indicator and p-trak ultrafine particle counter from Navi Mumbai. and impactor oil), sample extension tube (3-ft/1-m), sheath air HEPA filters (x8), filter. output connector, inlet cap (x2), 37-mm cassette with mesh filter, calibration impactor. Accessories: Soft Single-Unit Carry Case; x1, 5400 mAH Li-Ion Rechargeable Battery Pack; Universal Power Supply with US/EURO/UK/Austrailian adapters; x1, Zero Filter; x1, Dorr-Oliver Cyclone Kit with U-Tube and 3 ft/1 m Tygon Tubing; x1, Impactor Kit with x1,each of PM1/PM2.5/PM5/PM10/Blank inlets, bottle of impactor oil,x3 impactor disks and x1,impactor replacement gasket. SidePak AM520i Personal Aerosol Monitor, Intrinsically Safe Single Unit Kit includes: 5400 mAH Li-Ion rechargeable Battery Pack, Carry Case, Universal Power Supply (US, Euro, UK and Australian adapters), Zero Filter, Door Oliver Cyclone Kit with U-Tube and 3 ft/1 m Tygon Tubing, Impactor Kit (with PM1/PM2.5/PM5/PM10/Nondescript inlets, impactor oil, impactor disks (3), and impactor replacement gasket). Quick Start Guide, Self Check Components, Reference Card, and 2-year warranty. 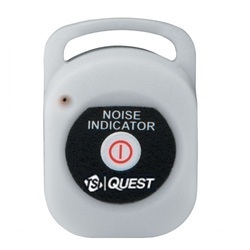 The Noise Indicator NI-100 alerts users to potentially dangerous noise levels, helping identify areas where noise assessment may be needed to determine the need for hearing protection. 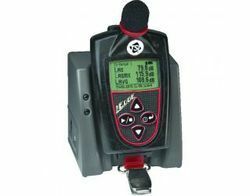 PRODUCT DETAILSUsers clip the device to a shirt or jacket, and its LED light delivers a clear indicator when noise levels exceed a potentially hazardous threshold. Its small size and lightweight design make it ideal for workers in a variety of industries. Includes: Telescoping sample probe, sample tube, inlet screen, spare wicks (2), battery holder, Alkaline batteries (6 AA), alcohol fill capsule with storage cap, alcohol cartridge, 30ml bottle Reagent Grade Isopropyl alcohol (16), zero filter (2), carrying case, TRAKPRO software, computer cable, operation and service manual, calibration certificate, and two-year warranty. 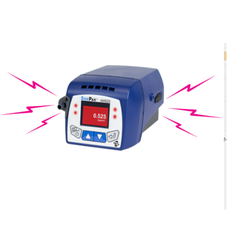 P-Trak Ultrafine Particle Counter, 20-1000 nm. 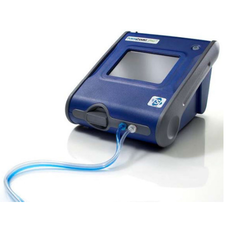 Environmental DustTrak Aerosol Monitor (PM10) (Includes Environmental DustTrak Photometer, Environmental Enclosure, Netronix Thiamis 1000 GSM/GPS Modem, Omni-directional Inlet with Water Trap PM10 Impactor) REQUIRES POWER OPTION SOLD SEPARATELY. 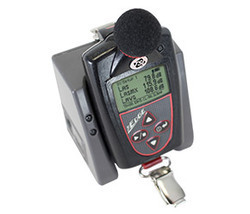 The Edge 4 Personal Noise Dosimeter offers a compact frame for a lighter, more ergonomic way to monitor noise levels. 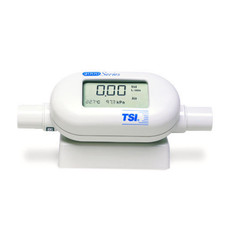 This innovative dosimeter weighs only 3 ounces and features a thin, contoured shoulder mount. 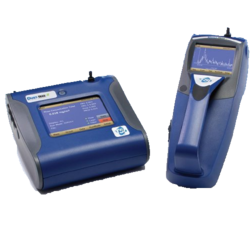 The Edge 4 has dual dosimeters and data logging/time history. 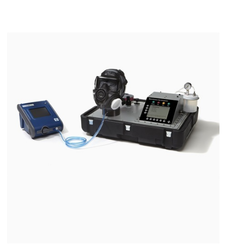 We are offering Portacount Respirator Fit Tester 8030 to our clients.The Portacount Respirator Fit Tester is the easy way to reliably fit test any tight-fitting respirators. 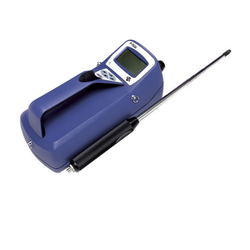 This innovative dosimeter weighs only 3 ounces and features a thin, contoured shoulder mount. 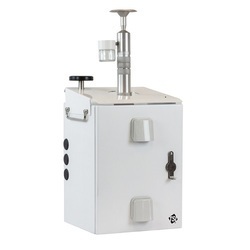 The Edge 5 model offers three independent dosimeters that can simultaneously measure against separate industry standards, all in one compact unit. Looking for Health and Safety Instruments ?